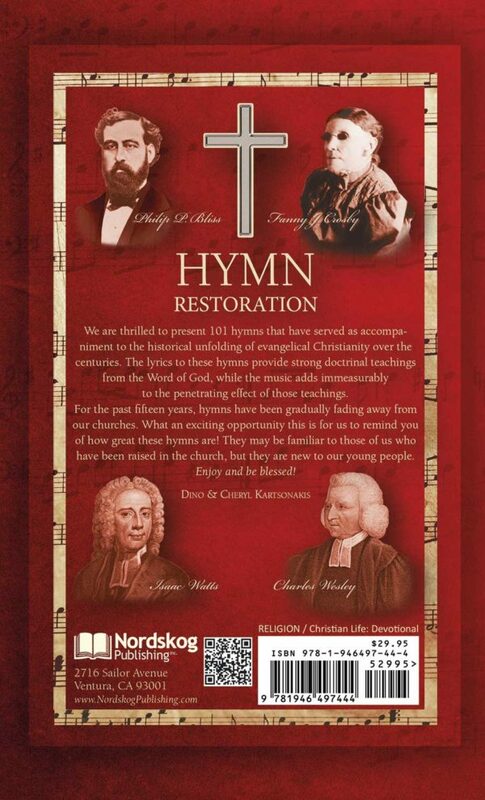 Hymn Restoration is about introducing a new generation to the musical treasures of Christian history. Dino Kartsonakis has brought his passion for and knowledge of sacred music to the task of selecting 101 of the best from the vast history of hymns. The hymns are presented alongside devotions that expand on their themes. We hope that they will uplift and encourage you in your faith. 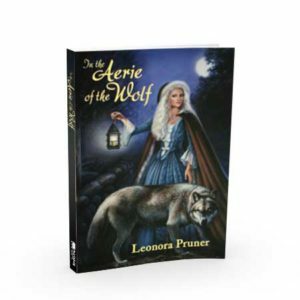 Purchase ten or more and receive a 10% discount, 50 or more for 15% discount! Walk into any Protestant church these days and you are likely to encounter a worship team that sounds a lot like a rock band. The musical worship will have a strong backbeat and simple, easy-to-follow repetitive melodies and lyrics. We honor today’s young musicians and composers, and the love and skill they bring to musical worship, whatever their level of competence, because we know that the Lord hears their hearts. But can it be that in the pursuit of a new sound, an old treasure has been lost? Hymn Restoration is about introducing a new generation to the musical treasures of Christian history. We bring you 101 of the best from the vast wealth of hymns going back centuries. You will immediately recognize the depth of the lyrics and the inspired beauty of the melodies. Every hymn is presented alongside a devotion that Cheryl has written, a chance to think more deeply about the hymns. We are indebted to the historians of hymnology and their books, some of which date back to the eras in which the hymns were written—historians such as John Julian and Ira Sankey, as well as the modern historians such as Robert Morgan and Kenneth Osbeck. Look for the references in the Notes section. 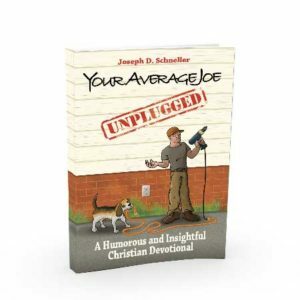 We hope that as you encounter these hymns and devotions you will be uplifted and encouraged in your faith. Music is indeed a special language that can touch us with a penetrating poignancy unique among human experiences. Sing and rejoice! We sing hymns not because they are old, but because they are great and contain so much of our theology. 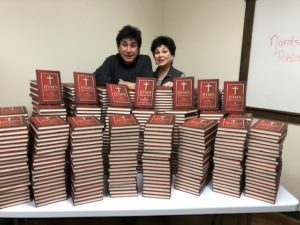 So, a big thanks to you, Dino, for helping to save a very important part of our Christian history and may God bless you, my friend, in this special effort. There is nothing like the classic hymns of the Christian faith, which are so rich in doctrine, to lead us in worship. They in- spire us to rightly revere Almighty God as we lift our voices and declare the truth of who He is and all He has done for us. I am grateful to Dino for compiling this great collection of hymns and for his tireless work in exalting the name of Jesus. and for our ears to hear and hearts to worship. and the rich He sent empty away. and to His seed for ever. Dino Kartsonakis is known as one of the world’s premier pianists, a title aptly given. From Carnegie Hall to the honor of performing inside the Tower of David, Jerusalem, Dino has captured the world with his unique talent, stellar performances, and exceptional showmanship. Kartsonakis is a Grammy Award winner for playing on the soundtrack of the movie The Apostle. He was nominated for “Chariots of Fire,” and is an eight-time Dove Award winner and Tele Award winner forMiracles, filmed at David’s Tower in Jerusalem. Dino’s talent and performance prowess all started at the tender age of three, when he sat at an upright piano and played the hymn “At the Cross” that he heard that morning at church. He grew into his talents and later studied music at The King’s College, piano at The Julliard School in New York City, at The Munich Conservatory in Germany, and the Conservatory of Fontainebleau in France, where he studied under the famous concert pianist Arthur Rubinstein. Cheryl has sung and Dino has played concerts in his famed style in such places as Russia, Japan, China, and Israel, to name a few—also Carnegie Hall, the Hollywood Bowl, Lincoln Center, and many other prestigious venues nationwide, performing for many dignitaries. He toured extensively in Europe under the auspices of the United States Army Special Services. He was featured in evangelist Kathryn Kuhlman’s I Believe in Miracles television show on CBS Television Network, working with Kuhlman for seven years. Aside from touring the world, Dino has made countless network television appearances since the age of sixteen, including the highly rated talk show The Dino Show, produced and hosted by Dino and Cheryl. For over twenty-five years they wowed audiences in over two hundred countries with a variety of celebrity guests as well as performances by Dino and Cheryl. Most recently, Dino had the distinction of playing at Israel’s 70th Birthday Celebration Concert with the Jerusalem Philharmonic Orchestra the night before the U.S. Embassy opened in Jerusalem, with Pat Boone singing and serving as MC. Cheryl Kartsonakis has performed as a vocalist for the past twenty-five years, entertaining audiences around the world alongside her husband. She is also the designer of many of the gorgeous costumes and sets in the Kartsonakis concert extravaganzas. In 2007, Dino and Cheryl opened Dino’s 24Karrot Cake Company and Cafe, located in Branson, Missouri, also shipping their “Celebrity Favorite” cakes nationwide. 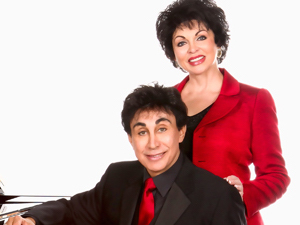 Dino and Cheryl are not only world-renowned entertainers, but they are also husband and wife. Dino and Cheryl share two daughters, Christina and Cherie, and are grandparents to Cherie and her husband Steve’s daughters, Lauren and Alexandra. A week ago Thursday, I dropped by for one of my quick visits to see Jerry at Nordskog Publishing. I inquired about the status of the Hymn Restoration book, and he directed me to his personal bookshelf and honored me with the gift of what he told me was your very first book. 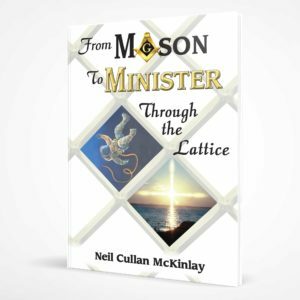 As I read through the first pages and then scrolled through the hymns, I was fascinated by the marvelous short stories and devotions that accompanied each hymn. I flashed back to my childhood in the early 1960s and remembered the old hymn books at Brentwood Presbyterian Church. Our minister would tell us to pull out the hymn book and turn to a particular page, and we would sing. While I’m sure the words resonated with many, I was just nine or ten at the time, and so the words mostly missed the connection with me. I always loved music; Dino’s “Chariots of Fire” is a great example. It touches my soul and creates wonderful spiritual emotions. What I find very interesting about Hymn Restoration: 101 Treasured Hymns is how you have all combined the hymns with the short stories and devotions that accompany each hymn. I think this was inspirational. It helps all those that sing these hymns to connect the music with the context of the lyrics. I cannot help but think back to when I was nine, and how I might have had a better connection to the hymn had I been provided the context with which it was written. 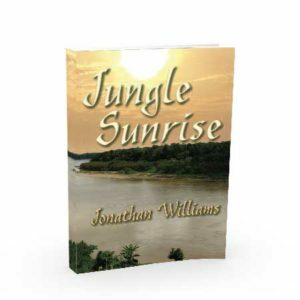 I believe you will all have great success with this book. I believe many will want to acquire the Hymn Restoration as they raise their voices in praising God for all the gifts He provides. My sincere wishes for your great success! 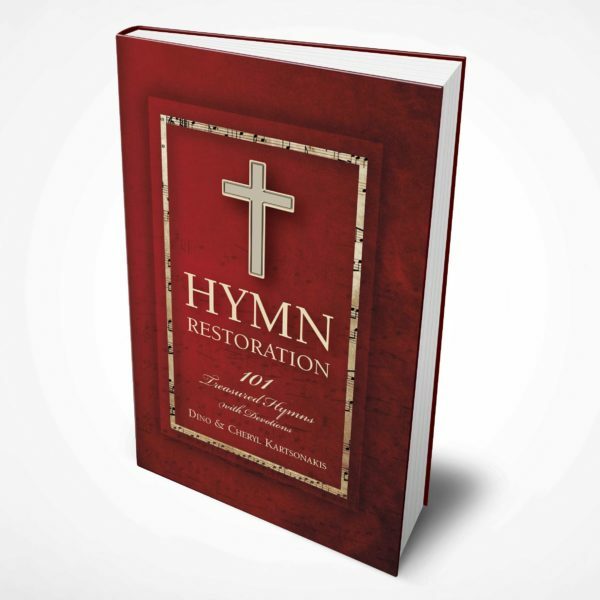 Hymn Restoration addresses an extremely important issue for our evangelical Christian churches today. That is the necessity to restore as part of our church music those hymns that are the bedrock of our faith. Our young people need to know and understand why those hymns, which tell a story, each and every one of them, are so pertinent to what we believe. That is not to say we shouldn’t have contemporary music that appeals to a younger generation, however we should never abandon the traditional Christian hymns that speak such an important message. Dino, I have been to many of your concerts in Denver and Estes Park Colorado over the past 40 years and you have blessed me beyond measure with the GIFT of music that God has given to you! One Sunday night back in the summer of last year, I was watching the Huckabee Show and you were his guest. Thank you for being his guest that night and your special concert on the piano! And announcing about the beginning preparations for the Restoration Hymnal. Of course, I just had to pre-order it! Thank you, Dino and Cheryl for my copy of this magnificent and special Autographed Restoration Hymnal. I will treasure it forever! I have been devouring the hymnal as it is so Holy Spirit filled with the accompanying of Cheryl’s devotions. I began to weep over a few of them as I read on, especially the #4. All the Way My Savior leads me–as God was in charge of Cheryl’s car in the traffic that day. Another one is #64–Oh that will be Glory! And the story of your birth, Dino. God has had His Hand on you! And Cheryl’s devotion to God and to you, Dino! Thank you both for making this Hymnal possible for all of us to enjoy and worship with these hymns of the Faith. I pray that this Hymnal will be the beginning of a New Revival of the Old Hymns of the church that we grew up with and cherish! I placed my order for the set of accompanying CD’s on January 1st and I can’t wait to receive them! I am also telling others that I know about the Hymnal and CD’s, so some more orders are coming your way!